I've been on a bit of a softie making kick this year. 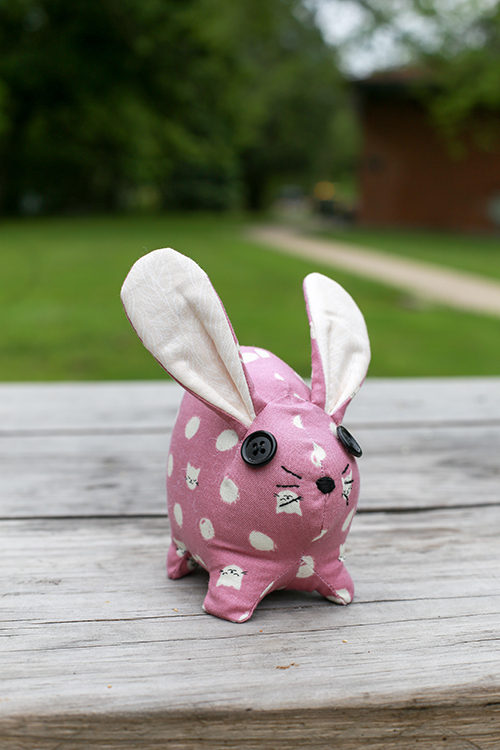 I have always had a soft spot (hehe) for stuffed animals, so it was only a matter of time before I made some myself! I've made a few here and there over the years (including some made from knit fabrics), but I've never felt super happy with the quality I was able to achieve. Now that I have lots more sewing experience and knowledge under my belt, I've started at it again. I'm happy to report it's going well, and I have three recently finished softies to share today! First up, this adorable cow! My Mom made me a stuffed cow for my birthday when I was young, and I always thought it was so cute. 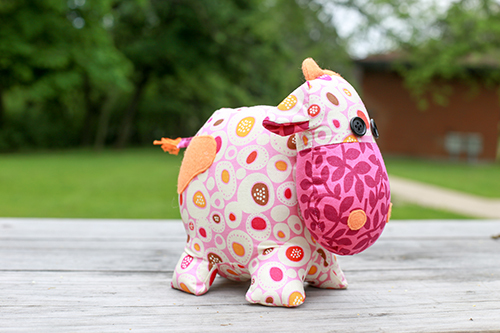 When I saw this Moo Moo pattern by Melly & Me, I knew I had to make one. I love the sweet felt details and little floss tail! I dug deep into my Erin McMorris Park Slope stash for this guy. I thought the pebble print sort of looked like cow spots! Of course I couldn't resist the Baby Bunnies pattern by Melly & Me either. Look how cute! 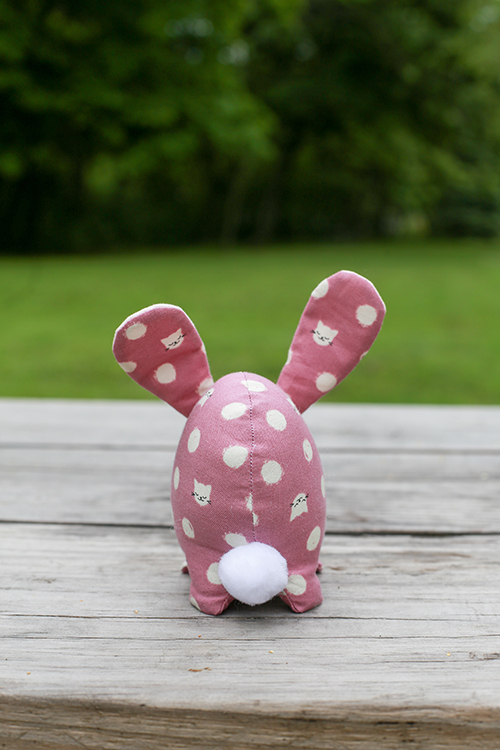 I thought it would be funny to make a bunny out of cat fabric. I'm easily amused! 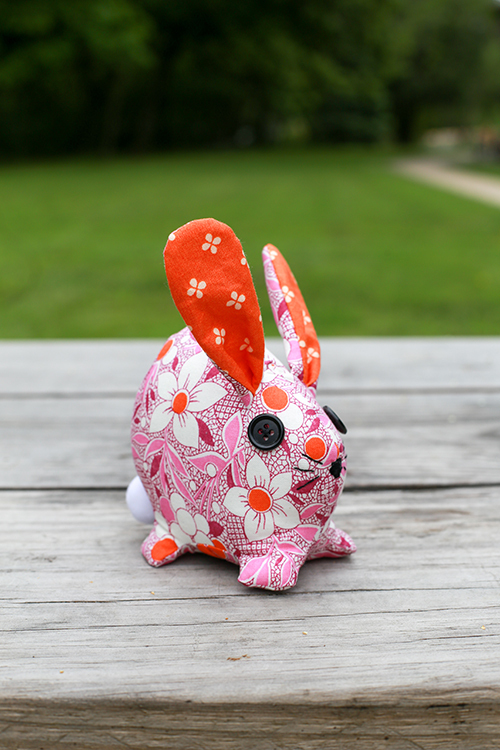 And one more bunny, because you can't make just one. I've had this repro print in my stash for years and it's still a favorite, I love purple and orange together. 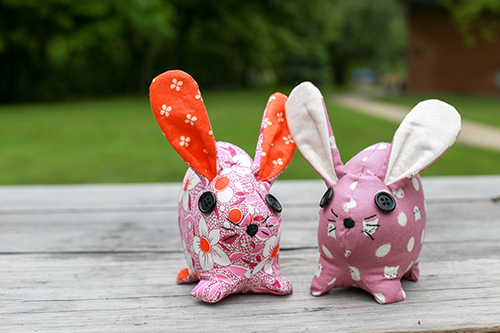 I finished both bunnies with button eyes, embroidered faces and pom-pom tails. My embroidery could use some work, I need some more practice. The two bunnies together. 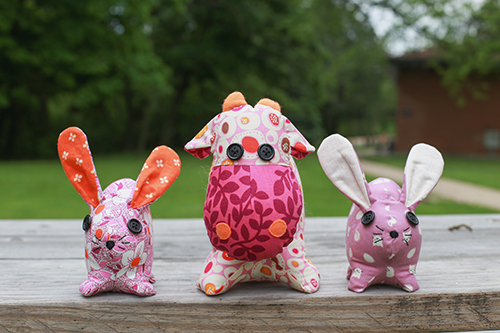 These softies were a fun exercise for me, and I am really pleased with how they turned out. I've already made two more softies (hippos! ), since I made these, which I'll share soon. 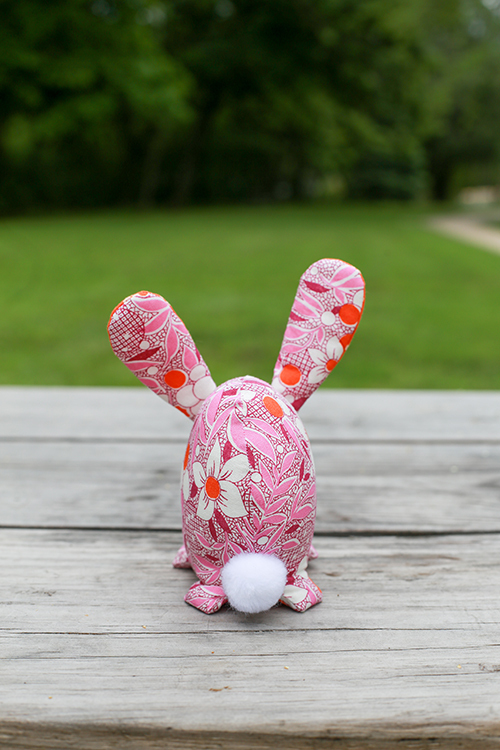 Perhaps I'll share some tips that have helped me improve my softie making too. My main sewing pull is usually quilts, but I do love working on small side projects like these to keep things interesting and learn new things! Awesome and creative work that will help me to craft best things for my children and help them to play with home made softies. My 'issue' with stuffed animals are all the little parts. I can't seem to get those fiddly pieces right. You have done a great job. So adorable! I love your blog!